Welcome back! 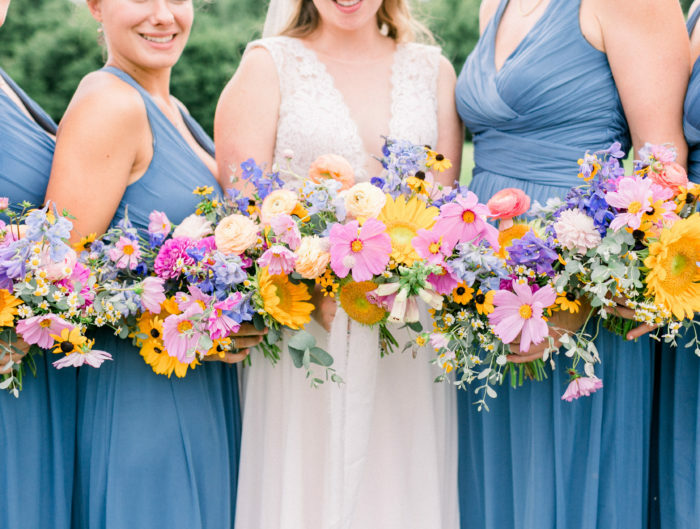 Traveling all the way from Hawaii, Kate and Sam held their Washington DC wedding ceremony and reception at the stunning Meridian House, where they wed and celebrated their big day in style! If you missed their heartfelt and very personal indoor wedding ceremony, be sure to check it out here. 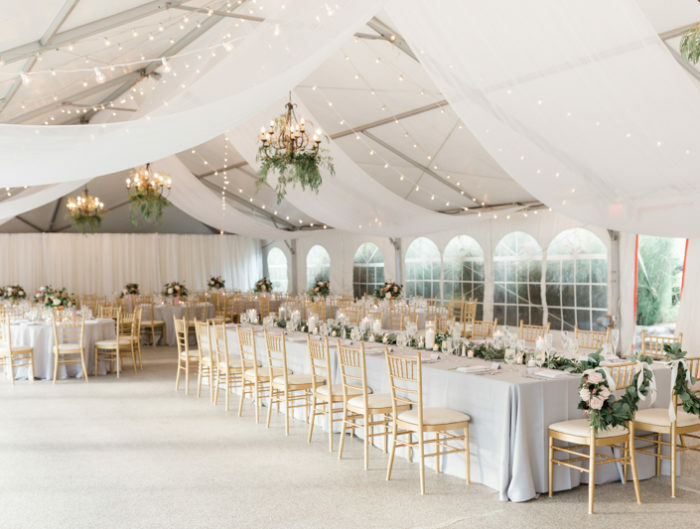 For their formal wedding reception, long tables adorned with rustic wedding flowers from Petal’s Edge dressed the ornate ballroom in the couple’s natural color palette. But our favorite part of Kate and Sam’ wedding is the giant balloons and streamers that they danced under – what a fun and personal touch!? No wedding day detail was left undone, right down to the delicious dessert bar and favors from back home in Hawaii. Special thanks to Documentary Associates, their wedding day photos are just beautiful! From Kate: We wanted to make sure we had great food and music for all of our friends and family to enjoy on our wedding day, so we made choosing a highly recommended caterer and a band we were excited about a priority. We also chose a wedding photographer whose work we admired because we knew we’d always treasure our wedding photos. 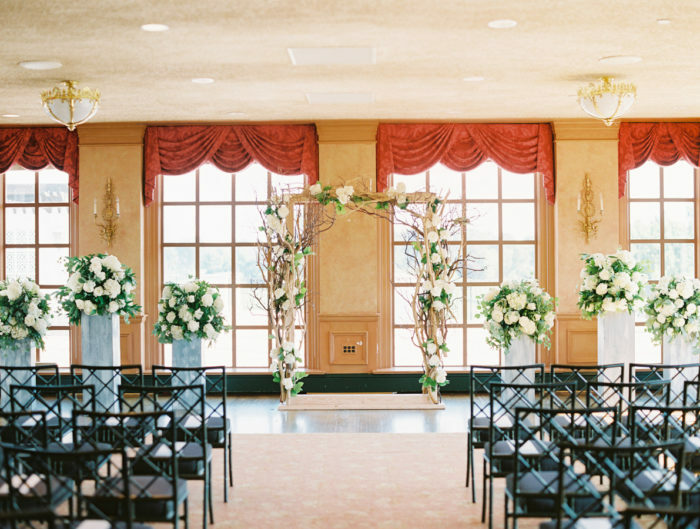 Finally, we had our heart set on an amazing wedding venue, the Meridian House in D.C. I’m glad we focused on having a really great wedding venue and wedding caterer, because they went above and beyond in making wedding planning as seamless as possible for us. I‘d like to think our wedding was elegant, romantic and fun. We didn’t have a really cohesive vision until speaking with Rebecca at Petal’s Edge, who guided us based on photos we liked. I knew I wanted Geronimo Balloons involved in some capacity, because I used to work at the studio in LA and after making balloons for countless other weddings it was time to make some for my own! Although we both grew up on the mainland in the U.S., Sam and I are longtime Hawaii residents. For our wedding favors we ordered bags of Chocolate Mac Nut coffee from our favorite roaster, the Coffee Gallery in Haliewa. Congratulations to Kate and Sam! Thank you for sharing your elegant and fun Washington DC wedding reception with us.